Are you using outdated software? 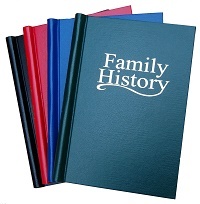 If you are still using Europress Family Tree, Generations, Reunion for PC, Family Tree Maker 2005 or the Master Genealogist then it is probably time to treat yourself to something much more modern and compatible with the Windows 7 and 8 operatiing system or even the Mac OS. To help you make the right decision about which software to buy we have produced a table of features and indicated which ones are available in each piece of software. Although the list of features is not exhaustive we feel that it covers some of what might be important to you. We have both Windows and MAC computers on which we run the software before writing our reviews. We do not rely on the authors of software to provide their own list of features. Users of earlier versions of Family Tree Maker may be confused about the origins of the program, so we have produced a quick potted version of its history. May 1999 The Learning Company was acquired by Mattel Incorporated and Family Tree maker v6 published. 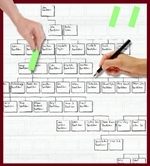 April 2003 Genealogy.com was acquired by MyFamily.com and in the late Summer Family Tree Maker v11 was published. Version 16 was launched to correct two minor errors but it was only for customers in the USA. FTM 2006 and v16 were the last of the old series. The Family Tree Maker v2006 & v16 were the last of the traditional family view layout that just showed the parents and children on a single screen with their basic BMD details. The grandparents were also shown with names only on the same screen.